From the archives. First published February 4, 2014. The discussion of “FEMA Camps” has long been attributed to the over-active minds of conspiracy theorists, but when a Supreme Court Justice speaks on the issue, it would behoove people to listen. Whether you personally believe in FEMA Camps or not, the evidence is abundant that plans have been in place for decades to deal with another “internment camp” situation. Have you ever heard of REX-84? I am a firm believer that when high-profile political figures speak that we should listen and learn to read between the lines. 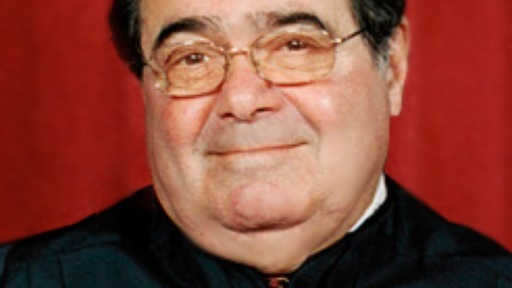 For Antonin Scalia to make these statements is a bit risky on his part. He knows the statements will be viewed as controversial and yet he probably does not feel at liberty to reveal as much as he would like. Why? Because revealing too much could jeopardize his career or even his very life. When Dan Bongino (a former Obama Secret Service Agent) says something like, “It’s worse than people know… and I’m not trying to scare you either”, I believe that people should listen. Obviously that is a clue that something is amiss and he is not at liberty to give details. The next time we see the “reality” of internment camps it may not be Japanese-Americans or any other ethnicity who is targeted. Just as with the IRS scandal, it could very well be dependent on one’s own political ideology. All we can do is be prepared as possible. We ran an article a short time ago about FEMA Camps and the recent orders to equip 1000 tent hospitals in the USA. After running that article I read a comment from a woman who said that she wouldn’t need a FEMA Camp. She would be fine on her own. I think some people are still missing the point if they think they will be given a choice in the matter.